Employers can now take advantage of many employer incentives and supports. The most recent incentive, introduced by the government this month is the JobsPlus scheme. The innovative JobsPlus scheme is primarily focused on the long term unemployed, providing a cash flow benefit to businesses who hire jobseekers that have been on the live register for 12 months or more. The objective of JobsPlus is to provide a simple, easily understood and attractive scheme that will encourage employers to recruit from the cohort of the long term unemployed. Under the scheme the Government will pay a quarter of some workers’ wages to get people back to work. The plan is to offer businesses a €1 cash refund for every €4 spent hiring someone off the dole. The refund will continue for 2 years. The employer has to commit to take the worker on for a full year at least. The refund will equate to 25% of the gross cost of hiring someone in a job worth about €18,000 to €20,000 a year. The direct cash grant for businesses can be claimed a month after wages are paid. The Minister for Social Protection Joan Burton said recently- “JobsPlus will help businesses to create new jobs and reduce long term unemployment”. There is no limit on the number of eligible recruits per employer and the incentive will be available to employers filling new vacancies as a consequence of natural turnover. This JobsPlus Incentive was launched in early July and will be available in respect of all employment commencing on or after or after the 1st July 2013. Employers will be able to register on www.jobsplus.ie to become an eligible employer under the JobsPlus Incentive. An employer will also be able to instruct a potential employee to apply on-line at http://www.jobsplus.ie to verify their status as an eligible employee under the JobsPlus incentive. Please note: Revenue Job Assist (IT59) and Employer Job (PRSI) Incentive Scheme have been replaced with this new JobsPlus scheme as of the 30th June 2013; however beneficiaries of these schemes will continue to receive the tax and PRSI exemption benefits for such time as they are entitled to these benefits in accordance with the terms of these schemes. JobBridge is a new National Internship Scheme that will provide work experience placements for interns for a 6 month or 9 month period. The aim of the National Internship Scheme is to assist in breaking the cycle where jobseekers are unable to get a job without experience, either as new entrants to the labour market after education or training or as unemployed workers wishing to learn new skills. The scheme will also give young people a real opportunity to gain valuable experience to bridge the gap between study and the beginning of their working lives. Interns will receive an allowance of €50 per week on top of their social welfare entitlement. 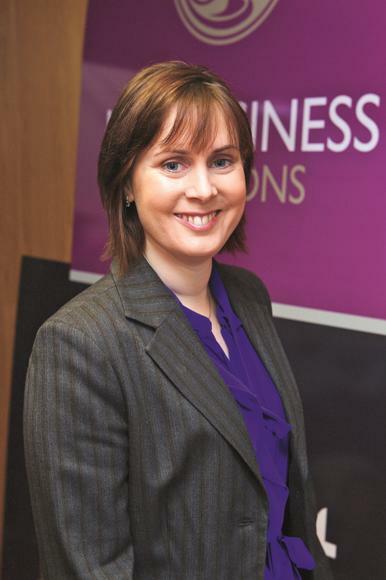 This entry was posted in Business Advice, Business Support, Human Resources and tagged Beacon Initiative, Caroline McEnery, Grow Programme, Jobbridge, Jobsplus Scheme by padraigbeaconinitiative. Bookmark the permalink.